Notice the total absence of those former arguments about the “alleged” corruption in the Obama Department of Justice? I honestly believe there may be two reasons for the current lack of anger about those: people grew tired of the repetitious news coverage of pieces of evidence of corruption and just “turned off;” and/or the Media has purposely ratcheted up their already deafening attacks on President Trump in an effort to make Americans forget. Eric Holder was the first attorney general in history to be held in contempt of Congress when he stonewalled committee probes of the Fast and Furious investigation. Fast and Furious itself was a scandal, involving the government’s reckless abuse of investigative powers for the purpose of fabricating an anti-gun narrative. 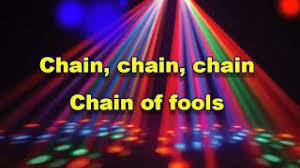 Instead, its “gun walking” resulted in the killing of a federal agent, among other violent crimes. Attorney General Holder made misleading representations about both Fast and Furious and the investigation of Fox News journalist James Rosen. The IRS’s intimidation and abuse of President Obama’s political opponents, and the cover-up thereof resulted in no charges and little apparent investigation. There were politicized prosecutions against Dinesh D’Souza (an Obama critic whose minor campaign-finance infraction was treated as a major felony when more-serious violations are typically disposed of by administrative fine), and Nakoula Basseley Nakoula (the anti-Muslim video producer scapegoated by the Obama administration for the Benghazi massacre). The Department of Justice reportedly refused to impanel a grand jury in either the e-mail case or in connection with the FBI’s investigation of the Clinton Foundation pay-for-play allegations. “The problem here is this investigation was never a real investigation,” former assistant FBI director James Kallstrom said. “That’s the problem. They never had a grand jury impaneled, and the reason they never had a grand jury impaneled, I’m sure, is Loretta Lynch would not go along with that.” Further, the Department of Justice reportedly refused to allow the FBI to issue subpoenas to gather more evidence in connection with its investigation of the Clinton Foundation pay-for-play allegations. Then there were the Justice Department’s outrageous misconduct and serial lies in a prosecution of New Orleans police, which a federal judge variously described as “bizarre,” “appalling,” and “grotesque” — conclusions upheld by the Fifth Circuit appeals court. And, of course, the Clinton e-mails investigation, featuring: Justice Department collusion with Clinton-camp lawyers; inexplicable immunity deals; suspects who received immunity permitted to appear as lawyers for other suspects; no prosecutions despite significant evidence, several immunity grants, and patently misleading statements during FBI interviews; a furtive tarmac tête-à-tête between the attorney general and the main suspect’s husband (the former U.S. president who just happened to have launched the attorney general into public prominence, and who was positioned to influence whether the attorney general got to keep her job in an anticipated Hillary Clinton administration) just days before it was announced — surprise! — that there would be no indictment of Hillary Clinton; and startling public commentary by the FBI regarding an uncharged case that bore heavily on a presidential election. Subsequent to that “chat” aboard Clinton’s jet in Arizona, it was learned that Attorney General Lynch was conducting official DOJ business via an alias name and email address: “Elizabeth Carlisle, ecarlisle@jmd.usdoj.gov.” Why would an Attorney General use an alias and communicate via a secret email address other than to hide from the public certain actions taken if those actions were legal and above-board? John Carlin, Assistant Attorney General – Head of DOJ’s National Security Division – announced resignation on September 27, 2016, after filing the Government’s proposed 2016 Section 702 certifications on September 26, 2016. The filing does not disclose known FISA Abuses. Carlin is aware NSA Rogers is conducting a compliance review which will uncover the FISA Abuse. Trump surveillance originated under Carlin’s tenure. Sally Yates, Deputy Attorney General & Acting Attorney General (replacing Loretta Lynch – 10 days) – fired January 30, 2017. Complicit in Flynn Surveillance and surveillance of Trump Campaign. Mary McCord, Acting Assistant Attorney General – Acting Head of DOJ’s National Security Division (replacing John Carlin) – announced resignation on April 17, 2017 – Left on May 11, 2017. Complicit in Flynn Surveillance and surveillance of Trump Campaign. Rachel Brand, Associate Attorney General – number three official behind Deputy AG Rosenstein – resigned February 9, 2018. Takes top legal position at Walmart. Brand “played a critical role in Congress’ re-authorization” of section 702 of the Foreign Intelligence Surveillance Act. James Comey, FBI Director – fired May 9, 2017. Oversaw all FBI operations – including exoneration of Clinton and Trump-Russia Investigation. Reported to AG Lynch. 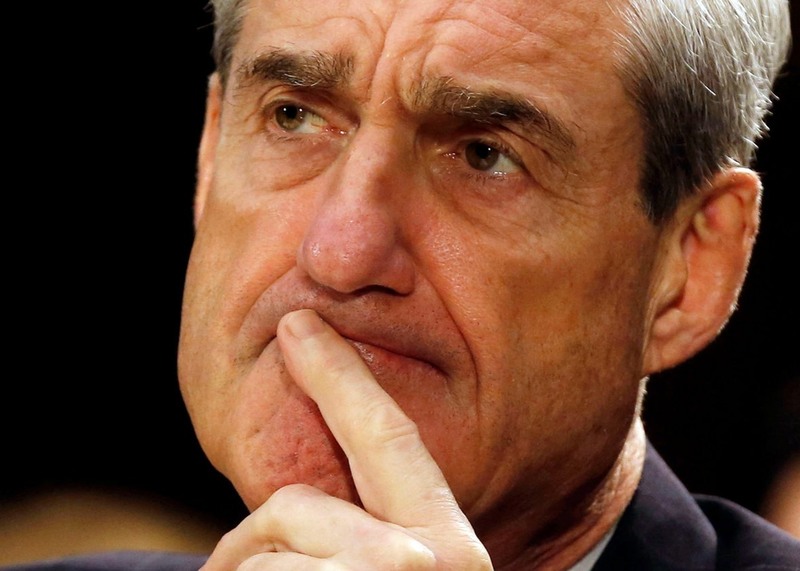 Peter Strzok, Deputy Assistant Director of FBI’s Counterintelligence – forced off Mueller’s team – demoted August 16, 2017, to FBI’s Human Resources. IG Horowitz discovered texts July 27, 2017. Strzok involved in all facets of Clinton exoneration. Working member of “Insurance Policy” group. Strozk was fired August 13, 2018. Lisa Page, FBI/DOJ Lawyer – forced off Mueller’s team – demoted August 16, 2017, to parts unknown. IG Horowitz discovered texts July 27, 2017. Working member of “Insurance Policy” group. Resigned May 4, 2018. James Baker, FBI General Counsel – demoted and reassigned on December 20, 2017. Working member of “Insurance Policy” group. Senior-most legal counsel at FBI. Resigned May 4, 2018. James Rybicki, Chief of Staff to FBI Director James Comey & successor Chris Wray – resigned/forced out January 23, 2018. Working member of “Insurance Policy” group. Andrew McCabe, Deputy FBI Director – on December 23, 2017, announced retirement effective March 22, 2018. Forced to resign on January 29, 2018. Involved in all aspects. Reported to Comey. Josh Campbell – Special Assistant to James Comey – resigned on February 2, 2018. Writes an op-ed in New York Times on why he is leaving but does not disclose in the op-ed that he was Special Assistant to Comey – or that he had been offered lucrative CNN job. Takes a job with CNN on February 5, 2018. Michael Kortan, FBI Asst. Director of Public Affairs – resigned on February 8, 2018 – effective February 15, 2018. Kortan served as assistant director for public affairs, an influential job that controlled media access. Bill Priestap, Assistant Director – Head of FBI Counterintelligence – Holds the same position. Strzok’s former boss – reported directly to McCabe. 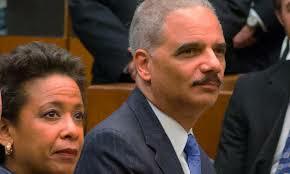 There are others that unofficially are being “watched” regarding the continuation of their employment with the DOJ. We could spend the day discussing in detail all of the “known” investigations underway that include those above and others. But most of them and the details of their alleged wrongdoing are on already public knowledge. What remains unknown is just how deep and wide are the methods and the people who have been (and are) part of a concerted plan to destroy President Donald Trump and his administration, his implemented and pending policies, and to stall his appointments — including that of Judge Brett Kavanaugh who is almost surely a shoo-in as the replacement on the U.S. Supreme Court for Justice Anthony Kennedy. What is amazing to me is that everyone who plays any role in this coordinated effort to end the Trump White House actually felt that any and all of the illegal, unethical, and immoral acts they committed — and in some cases are still being committed — were/are justified because of the worthy goal of ridding the nation of President Trump. What is MORE amazing to me is that everyone who played these roles honestly felt they were going to be successful in their quest to unseat a duly elected president and do it without the American public knowing about it! If any American is not incensed at the fact that appointed and hired individuals who work for the American people would participate in this “political coup,” you have no loyalty to your country. The American public has yet to be shown the evidence that Intelligence Community individuals and several in Congress claim that verifies Russian attempted hacking of the 2016 election. Even if it does really exist, (and I have my doubts) there obviously was no involvement with the Trump Campaign. But there is verified collusion between the “other” campaign and the Russians: the Hillary Clinton Campaign. Hillary’s campaign funded the Steele Dossier knowing it was full of false information, had it promoted by James Clapper and James Comey to instigate the fake Russia collusion story and subsequent investigation of Donald Trump. Further, more and more information leaks out daily showing just how “in the tank” members of senior FBI management were in the action to derail the Trump presidency. Peter Strozk and Lisa Page as more of their private texts and emails are revealed show there were intense actions initiated and managed by upper-level management members of both the FBI and DOJ to accomplish that objective. What is going to happen and when? I have no idea. I have my suspicions, and they involved execution of a bunch of those 50,000+ sealed federal indictments on stand-by in federal district courts around the nation. I suspect Fall of 2018 is going to initiate the peeling of the onion of corruption that obviously dwarfs that ever witnessed in the United States government. In the meantime: Donald Trump caused the hurricane headed for the Carolinas, Trump put those illegal immigrant children (in that picture that actually was taken during the Obama’s presidency), he single-handedly created global warming that will destroy Earth if he is not immediately kicked out of the Oval Office. To summarize it: EVERYTHING that is bad in the United States — and the World, for that matter — is the direct responsibility of President Trump. Oh, one more thing: all of the good economic news in America is proof of the amazing accomplishments of Barack Obama. After all, nothing good could ever happen in America that wasn’t directly attributable to his knowledge, understanding, likability, and compassion! The Left is either there or going INSANE! I knew some anti-Trumpsters in the G.O.P., members of the Democrat Party and Socialists further left than Dems, have turned into mind-bots bent on the destruction of President Trump and all he stands for. But what is playing out almost daily was unimaginable a couple of years ago. We are actually seeing violence — severe violence (if there is such a thing as “non-severe” violence!) — playing out on a national stage from Leftists not directly at Mr. Trump, but at those who work with and for him, visibly support his agenda, or are simply NOT Democrats. Sure, he won the election and many don’t like that. But is that a sufficient reason for people to morph into Apocalyptic zombies who attack anyone who supports this President? A longtime College of Southern Nevada sociology professor is facing felony gun charges in connection with an on-campus shooting on the second day of classes. Mark J. Bird, 69, was charged last month with discharging a gun within a prohibited structure, carrying a concealed weapon without a permit and possessing a dangerous weapon on school property, court records show. He was found bleeding from a self-inflicted gunshot wound to his arm about 8:15 a.m. on Aug. 28 outside a bathroom in the Charleston campus K building. Inside the bathroom, campus police found a $100 bill taped to a mirror along with a note that said, “For the janitor,” according to Bird’s arrest report. 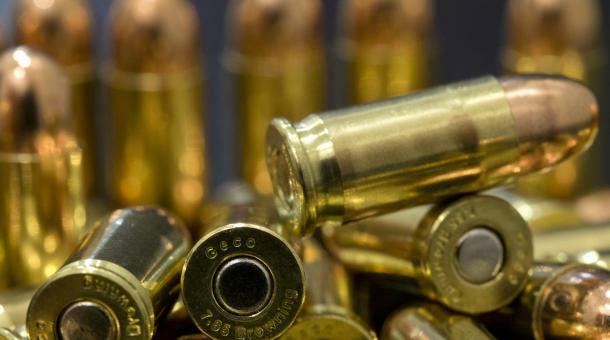 On the floor of the restroom were a black-and-white, .22-caliber pistol and one spent shell casing. The sociology professor was hired Aug. 26, 1993, and was an emeritus faculty member at the time of the shooting, college spokesman Richard Lake said. Bird was not scheduled to teach any courses during the fall 2018 semester. A Castro Valley, California man shouting profanities about President Trump attacked a Republican congressional candidate who was working an election booth at a town festival, threatening him and trying to stab him with a switchblade, authorities and the candidate said Tuesday. Farzad Vincent Fazeli, 35, was jailed after the alleged Sunday attack on Rudy Peters at the Castro Valley Fall Festival. Alameda County prosecutors charged Fazeli on Tuesday with a felony count of making criminal threats and misdemeanor counts of exhibiting a deadly weapon and possessing a switchblade. (Los Angeles TIMES) There can be no justification for the violence perpetrated by a group of leftist protesters who attacked supporters of President Trump and others during an otherwise peaceful “rally against hate” in Berkeley. Whether they are described as “black bloc” or anarchists — the nomenclature isn’t important — the masked, black-clad protesters are criminals, not the vanguard of a righteous resistance to fascism. They also are traitors to the thousands of peaceful demonstrators who gathered in Berkeley’s Martin Luther King Jr. Civic Park to counter a “No to Marxism in America” rally — a non-event that drew a relatively small contingent of right-wingers after its organizer, fearing violence, had urged supporters to stay home. The punches black bloc protesters are throwing are injuring their own side. This is thuggery, not activism. And it has become too familiar a phenomenon in Berkeley, belying its reputation as a citadel of free speech. 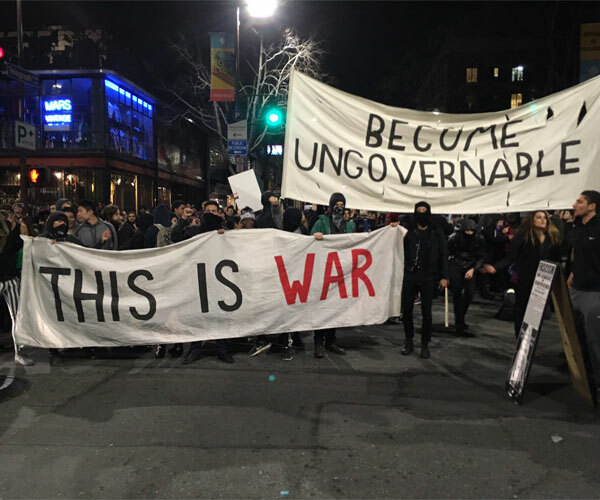 In February, for example, 150 black-clad agitators caused $100,000 worth of damage when they smashed through the city protesting a planned UC Berkeley speech by right-wing provocateur Milo Yiannopoulos. The speech was canceled. Martin Astrof went to the campaign headquarters of Rep. Lee Zeldin and then threatened to kill Zeldin and Trump supporters generally, according to news accounts of the incident. As he left, he nearly ran over a campaign staffer with his car. An angry Trump critic allegedly punched a homeowner in Boynton Beach, Fla., for having a Trump flag in his front yard, and then dragged the homeowner 30 feet while driving away. Breitbart News recently started compiling what it characterizes as “acts of media-approved violence and harassment against Trump supporters.” The list is now up to 258 — and climbing fast. So far this month, Breitbart counts more than two dozen incidents of threats, intimidation, and violence against Trump officials and supporters, or mainstream journalists excusing such actions. That’s likely just scratching the surface since no doubt many cases of abuse go unreported. Is Maine Republican Sen. Susan Collins being bribed to vote against Supreme Court nominee Brett Kavanaugh? That’s what she and others are saying. Where did this all begin? When did it all begin? Beginning with the Obama campaign ahead of the 2008 election, the division between conservatives and liberals, Republicans and Democrats, began to ramp up. Obama represented drastic and dramatic changes for American voters to contemplate: and not just racially. He brought to the campaign radical new ideas that heretofore had never been a big part of any presidential campaign. There were socialist candidates and even Communist candidates on past ballots. But all past non-traditional political representatives drew sparse support among voters. Obama represented something new and different for a new and different generation. For generations, Americans had experienced the same structured, starchy, tired political process in which pretty much old, pontificating politicians campaigned every two years with promises of the moon. When elected, all voters received were moonbeams and a bigger tax bill: Oh, and a smaller paycheck. The packaging was good enough to draw enough from the “past” generation to join those politically disenfranchised from the “new” generation to elect and then re-elect him. After the 2012 election, Obama realized something: “You can put lipstick on a pig but it’s still a pig.” He re-packaged his politics, but he didn’t quite get the results he thought he should. But he was successful at turning the heads of a young generation of Americans who knew very little else politically other than his politics. He had sowed the seed of breaking away, of demanding change and going after it. He was the first president since Reagan to give Americans a new direction and then leading the country in that direction. Unfortunately for Hillary Clinton, she could not maintain the cloud of optimism he created above Millennials — the sun burnt it away to reveal the truth. There were no jobs, no big salaries. College was expensive, and so was living on your own. 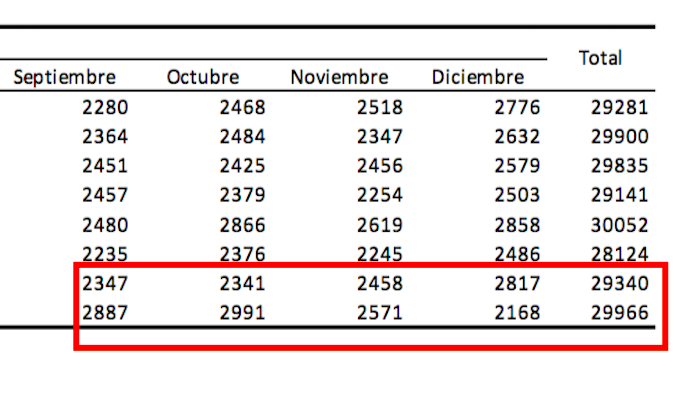 Employers expected employees to work before “earning” paid vacations. Cell phones and cars and house rent or house payments cost a lot. The “Obama-phone” and “Cash for Clunkers” and Billion Dollar government handouts to Solyndra and those shovel-ready jobs were never really there or never worked. People became angry because the gravy-train was either gone or it never existed. There were enough of those who remembered the old “reap and sow” principle upon which America was founded: “You get out of life equal to what you put in,” there are NO free rides, everyone has to work to eat, to not just listen to his campaign speeches, but to believe he could and would do what he promised if elected. President Donald Trump’s relentless attacks on the media as the “enemy of the people” are close to sparking violence that could lead to journalists being attacked around the world, the outgoing United Nations human rights commissioner said, according to a report Monday. “We began to see a campaign against the media … that could have potentially, and still can, set in motion a chain of events which could quite easily lead to harm being inflicted on journalists just going about their work and potentially some self-censorship,” Zeid Ra’ad al-Hussein said, the Guardian reported. “And in that context, it’s getting very close to incitement to violence,” he said. Three people who were pushed and shoved while protesting at a 2016 Donald Trump campaign rally cannot sue the President for inciting the crowd, a federal appeals court has ruled. The three-judge panel ruled unanimously Tuesday in favor of the President, saying that Trump saying “Get ’em out of here” during the rally in Louisville, Kentucky, was not a valid claim of “incitement to riot,” which is a misdemeanor under Kentucky law. Kashiya Nwanguma, Molly Shah and Henry Brousseau attended a rally for Trump on March 1, 2016, to “peacefully protest” the then-candidate. Nwanguma was carrying a sign with Trump’s head on a pig’s body, according to multiple news reports. After Trump said “Get ’em out of here,” several members of the audience — including Matthew Heimbach, a representative of the white nationalist Traditionalist Workers Party, and Alvin Bamberger — began to attack the protesters, according to a judge’s ruling last year. The three protesters accused Heimbach and Bamberger of assault and battery and pressed charges of incitement to riot, negligence, gross negligence and recklessness against the Trump campaign. The negligence claims arising from the plaintiffs’ allegations that Trump knew his supporters would attack protesters. In particular, the complaint says that Trump’s directive to eject Nwanguma, a black woman, was reckless, given the presence of a white nationalist group in the audience. The Left defends such actions as justified because of Trump’s policies or his actions. The truth is, this is how extremists on the left always respond to politicians and policies they disagree with. They threaten, intimidate and try to shut them down. If you don’t think so, try attending a speech by a conservative speaker at any liberal college in the U.S. Yes, we know, there are haters on the Right. And Trump can be crude and abusive. But that’s the point. Even a whiff of hatred or intolerance on the Right always — and correctly — receives widespread condemnation, including by Republicans. The same is not true on the Left — not even close. We have a chance to settle that dispute again in November. The Media will not accept anything else but a bloodbath at the expense of Republicans. But it seems that even that will not stop the anger and violence. That doesn’t all come from angry young Americans. Sure, much of it does come from those youngsters. But they’re joined by many 1960’s radicals that bear the mark of the last move of Anarchy in the U.S.: marches, bombings, riots, campus shootings, increases in violent crime. There are only two ways to change the tide: vote and pray. The prayer needs to start now — WAY before election day. In fact, I surely hope it has already started. Former President Obama took to the midterm campaign trail to do something he showed he’s pretty good at: campaigning. Unfortunately for the former Campaigner in Chief, he continued what he constantly did in speeches around the world during his 8-year occupancy of the White House: he took credit for things he did not do and deflected any responsibility for negative results of presidential actions taken during his administration that he was solely responsible for. Obama still rejects any notion that his actions as president and the devastating results they brought to middle-class Americans were the reasons Hillary Clinton lost her bid for the White House — that and the fact that Americans outside of those from the coastal states despised her. He often showed his disdain for Hillary and made very few attempts to help her during her campaign. He first stated he was about to attack Trump as a citizen and not a former President. He repeats that. Why? To prevent any listener from assuming he is “just another politician.” He tricks listeners into believing what he is saying comes from a regular person. Trump is a symptom and not the cause. The cause is people who “wrongly” fight against good policies because they want to keep the status quo. His tactics parrot others on the Left who keep calling Trump a bully. How? By stating lies as facts and calling facts lies. President Trump never endorsed Nazis or White Supremacy or totalitarianism. I could play multiple soundbites hear in which he clearly denigrates any and all people who denigrate others on racial, economic, sexual, or religious basis. Obama used “speech deflections” in attacking Trump. Obama’s claims about that while president he stood up to bullies is an exact illustration of this. Obama NEVER stood up to Putin — a former KGB (and Russian President) bully. Remember Obama’s Secretary of State Hillary taking that reset button to Russia, opening the door to Russia and the Obama U.S. working closely together? Remember Obama’s open microphone message to Putin given through the former Russian President to give Putin a message? In it, Americans heard Obama promise that after his U.S. re-election he would be in a better spot to work “more closely” with Russia? Remember Obama’s famous Syria red line? He threatened Bashar Assad — the Syrian president — that if Assad used chemical weapons against his own people, the U.S. under Obama would take action. Assad ignored Obama’s threat and moved forward using chemical weapons to kill thousands of Syrian innocents. What did Obama do for that bully crossing that “fake” redline? Nothing. While Iranian leaders were crafting nuclear weapons, starving their own citizens to death, holding numbers of Americans hostage, funding Middle Eastern terror attacks that killed Israelis and other Middle Eastern innocents, Obama paid Iran $150 Billion and signed a deal that allows Iran to continue nuclear proliferation with no international checks in place. How ridiculous is Obama callingTrump a bully! Trump no doubt is sometimes rude and abrasive, but he has NO record of bullying. Obama may have not bullied while in office, but he certainly did NOT stand up to bullies. “Speech Deflections:” Symbolism over Substance. Remember how radical it was when you made and/or received your first cell phone call? Who thought such things would ever happen or COULD ever happen outside of the Jetsons cartoon show? Today our adult kids don’t remember a time that to make or receive phone calls, we had to stop at our office, a pay phone, or run home in a hurry — and then we used a rotary-dial phone to make that call! We NEVER considered being able to make a call from our car. And what about the internet? The internet has changed almost every aspect of our lives. There would be no “online” purchasing, banking, texting, surfing, Facebook, Twitter, Instagram, Google, eBay, or Amazon without it. What would our world be without those? During one very short period of time, I flew from Louisiana through Dallas and London to Switzerland. From Switzerland, I flew through Muscat, Oman to Malaysia. From Malaysia, I flew back to Louisiana with a stop in Hong Kong and another in Dallas. I circled the globe on that trip — a trip my parents could never have taken or even envisioned in the 50’s! We ARE in a new era — or at least we are on the threshold of another. And the transition is from era-to-era is difficult at best. Extremism in pretty much every part of our lives is becoming more and more normal daily. We seem to push to the limits in every area. No doubt the U.S. after WWII became a country whose citizens grew together around one common cause: to excel, exploit individual and collective opportunity in the American marketplace of ideas, and make the U.S. the greatest and most respected country on Earth. Then the Generation X children grew up. That drive for excellence relaxed and those young adults started living the “going with the flow” and “fly by the seat of your pants” methodology of living in America. Millennials relaxed it to an even lower level. In this “new” America, the objective no longer seems to be that of building and working together. It, at least on its surface, appears to be a hodge-podge of ideas, policies, plans, and objectives of individualism — of becoming all that “I” can become, achieving all that “I” can achieve, and getting out of the World all that “I” want. The unifying cry of becoming better, smarter and stronger as a nation have seemingly disappeared. Obviously, the transition America is experiencing is not all good. Politicians have learned many different ways to impact the political process to achieve objectives that often are not those expected by the people who elect them. Obama saw an opportunity to take advantage of the change in younger Americans’ thinking and initiated a plan that he promised would “fundamentally change our nation.” He knew it would be virtually impossible to fool Americans to change governmental structure without amending the Consititution — which is virtually impossible. How could they move the lawmaking process toward their side of the scale? Obama figured out that if politicians cannot control Congress and trust for the normal legislative process to give them political results they want, they could turn to the judiciary. Obama appointed several hundred federal judges in his eight years. Although the norm in nominating judges has long been to ignore political leanings of judicial candidates, Obama implemented a process of choosing judges who possessed a known political bias toward liberalism and away from conservatism. He loaded federal courts to accomplish one thing: thwart the lawmaking process of a conservative Congress even when it has a conservative majority. How? Simply use those and other judges to attack laws that liberals opposed and to uphold laws liberals embraced, thus giving liberal policies green lights while holding conservative policies in check. And it worked: his fundamental change of America got wheels and raced forward toward full-blown Socialism. Enter Donald Trump. Transition made a sharp turn to the right. We live in a scary time. We have open violence playing out daily all across the nation. Our national politicians accomplish very little in the way of meaningful legislation while wasting trillions of U.S. taxpayer dollars. Government leaders ignore the tenets of the U.S. Consitution spending huge national resources to find ways to skirt duly passed laws. Our re-shaped judiciary has implemented a process in which Americans sadly watch as judges become lawmakers, choosing to tell lawmakers what laws SHOULD say rather than doing ONLY as the Consitution provided — determining if existing laws are legal or not. Obama claims to be a uniter. Once again, “speech deflection” becomes front and center. NOTHING about anything he said or did was ever designed or implemented to unite Americans. His purpose — though otherwise stated — has always been to divide the country into economic, racial, religious and social groups. He perfected the art of using political class warfare to do it. And he’s taken to the campaign trail to once again sow his seeds of division, watering those seeds with political class warfare and elitism. He along with his compadres on the Left still believe that Middle Americans are too ignorant to understand that methodology. They believe that will fuel a mid-term and 2020 victory. They thought the same thing in 2016. Hillary Clinton revealed just how deep and bitter their disdain for anyone and everyone who do not subscribe to the beliefs of the Left really is. And that remains today. Middle Americans showed them just how ignorant they are with a real trouncing at the ballot box in 2016. Will those same people remain engaged to repeat that message in November? Or have the Lapdogs of the Left — the Mainstream Media — been successful in carrying out the mandate of their masters and convinced those Americans that conservatism is dead? I work for the president but like-minded colleagues and I have vowed to thwart parts of his agenda and his worst inclinations. President Trump is facing a test of his presidency unlike any faced by a modern American leader. It’s not just that the special counsel looms large. Or that the country is bitterly divided over Mr. Trump’s leadership. Or even that his party might well lose the House to an opposition hellbent on his downfall. The dilemma — which he does not fully grasp — is that many of the senior officials in his own administration are working diligently from within to frustrate parts of his agenda and his worst inclinations. I would know. I am one of them. To be clear, ours is not the popular “resistance” of the left. We want the administration to succeed and think that many of its policies have already made America safer and more prosperous. But we believe our first duty is to this country, and the president continues to act in a manner that is detrimental to the health of our republic. That is why many Trump appointees have vowed to do what we can to preserve our democratic institutions while thwarting Mr. Trump’s more misguided impulses until he is out of office. The root of the problem is the president’s amorality. Anyone who works with him knows he is not moored to any discernible first principles that guide his decision making. Although he was elected as a Republican, the president shows little affinity for ideals long espoused by conservatives: free minds, free markets, and free people. At best, he has invoked these ideas in scripted settings. At worst, he has attacked them outright. In addition to his mass-marketing of the notion that the press is the “enemy of the people,” President Trump’s impulses are generally anti-trade and anti-democratic. Don’t get me wrong. There are bright spots that the near-ceaseless negative coverage of the administration fails to capture: effective deregulation, historic tax reform, a more robust military and more. But these successes have come despite — not because of — the president’s leadership style, which is impetuous, adversarial, petty and ineffective. From the White House to executive branch departments and agencies, senior officials will privately admit their daily disbelief at the commander in chief’s comments and actions. Most are working to insulate their operations from his whims. Meetings with him veer off topic and off the rails, he engages in repetitive rants, and his impulsiveness results in half-baked, ill-informed and occasionally reckless decisions that have to be walked back. “There is literally no telling whether he might change his mind from one minute to the next,” a top official complained to me recently, exasperated by an Oval Office meeting at which the president flip-flopped on a major policy decision he’d made only a week earlier. The erratic behavior would be more concerning if it weren’t for unsung heroes in and around the White House. Some of his aides have been cast as villains by the media. But in private, they have gone to great lengths to keep bad decisions contained to the West Wing, though they are clearly not always successful. It may be cold comfort in this chaotic era, but Americans should know that there are adults in the room. We fully recognize what is happening. And we are trying to do what’s right even when Donald Trump won’t. The result is a two-track presidency. Take foreign policy: In public and in private, President Trump shows a preference for autocrats and dictators, such as President Vladimir Putin of Russia and North Korea’s leader, Kim Jong-un, and displays little genuine appreciation for the ties that bind us to allied, like-minded nations. Astute observers have noted, though, that the rest of the administration is operating on another track, one where countries like Russia are called out for meddling and punished accordingly, and where allies around the world are engaged as peers rather than ridiculed as rivals. On Russia, for instance, the president was reluctant to expel so many of Mr. Putin’s spies as punishment for the poisoning of a former Russian spy in Britain. He complained for weeks about senior staff members letting him get boxed into further confrontation with Russia, and he expressed frustration that the United States continued to impose sanctions on the country for its malign behavior. But his national security team knew better — such actions had to be taken, to hold Moscow accountable. Given the instability many witnessed, there were early whispers within the cabinet of invoking the 25th Amendment, which would start a complex process for removing the president. But no one wanted to precipitate a constitutional crisis. So we will do what we can to steer the administration in the right direction until — one way or another — it’s over. The bigger concern is not what Mr. Trump has done to the presidency but rather what we as a nation have allowed him to do to us. We have sunk low with him and allowed our discourse to be stripped of civility. Senator John McCain put it best in his farewell letter. All Americans should heed his words and break free of the tribalism trap, with the high aim of uniting through our shared values and love of this great nation. We may no longer have Senator McCain. But we will always have his example — a lodestar for restoring honor to public life and our national dialogue. Mr. Trump may fear such honorable men, but we should revere them. Let’s put this all in perspective with Bullet Points! “Anonymous” Think about the fact that such a derogatory Op-ed would be printed in a national newspaper that is supposed to be impartial, honest, and transparent. It contains a series of negative attacks against a sitting President, and is supposedly to be penned by a senior member of that president’s staff! “Anonymous” source? Who reading/listening to this really feels there’s something fishy about this entire process AND the opinion piece? It’s no secret that the owner, publisher, editors, columnists, and reporters at the New York Times despise Donald Trump. It’s no secret they have taken every opportunity to print horrendous stories that contain every conceivable type of nasty allegation against Mr. Trump. Over and over again, this paper has printed “factual” stories that have on numerous occasions been exposed to be complete fabrications. Yet with that history, the Times expects Americans to ignore their history of purposely telling lies and to simply believe that an anonymous White House senior staffer not only wrote this Op-ed for publication but is working with an entire segment of the White House staff surreptitiously actually running the policies of the White House behind the President’s back! The “right direction.” I am trying to understand what direction that might be. Obviously, this “group” does not believe in the Constitutional right of every American to vote their conscience in each election and those elected are then legally empowered to fulfill the responsibilities of the office for which they were elected. They obviously don’t trust that Americans had the sense or prudence to elect this president, are too stupid to understand what craziness would result in America if his campaign promises were fulfilled. Those policies were revealed to Americans months and even years before those staffers ever thought they had a chance to work in the White House. Oh….the President HAS implemented dozens of those policies (I guess over their hard work to thwart behind-the-scenes his doing so) that have resulted in the unequaled and never-before-achieved employment numbers, tremendous corporate expansions, hirings, implementation of new technology, billions of corporate dollars kept abroad re-patriated back to the U.S. to fuel expansion, growth, employee raises and bonuses. That doesn’t sound like the work of some back-office pirates contemplating mutiny OR a deranged politician who apparently cannot even complete sentences in a conversation or make a phone call. If you have not yet surmised this: I don’t believe this “anonymous” source even exists. I feel strongly — especially with the ridiculous past exposures of New York Times reporters’ fabrication of stories — this is a non-existent source with outrageous manufactured story elements. How many times does it take for you to hear lies from a liar before you question the viability of everything the liar says? How many times will the Times lie before you refuse to believe what they publish — especially an Op-ed replete with bombastic allegations that heretofore are unreported and unconfirmed. But wait: using “anonymous” sources allows one to say anything, quote anyone, make numerous allegations, and expecting benign acceptance of a willing public. I am confident that is what we are experiencing with this. We have reported extensively — as have numerous other reputable news sources — of the danger of reliance upon anonymous news sources. Those who use those sources claim that without identification protection, details of a presidential administration wrongdoing, illegal and/or inappropirate actions of government agencies and individuals, and even their illegal activities would remain unknown. In a way, I can “kind of” agree with that. (hey: “kind of” agree with sounds a bit like being “kind of” pregnant!) But then I remember this: Congress crafted a federal whistleblower program that not only protects those who step forward with information such as that revealed in this Op-ed, but the whistleblower is rewarded financially for doing so. Why then would the New York Times “anonymous source” want to remain in the shadows? Any reasonable person in the White House would know that with the release of this Op-ed, their identity will certainly be ferreted out and they will be exposed and almost certainly terminated. But that should never be necessary. This person — if they exist — should immediately resign their position. No American who really believes in the American political system, the structure and operation of the presidency, and the sensitive nature of running a White House, would even consider working under such conditions as are alleged in this story. This is how today’s Mainstream Media functions. One will release a story. The others may half-heartedly make attempts to confirm independently from a reputable source the truth of the story. But usually, they simply use the news outlet that originated the story as their “confirmed source!” It happens every day. 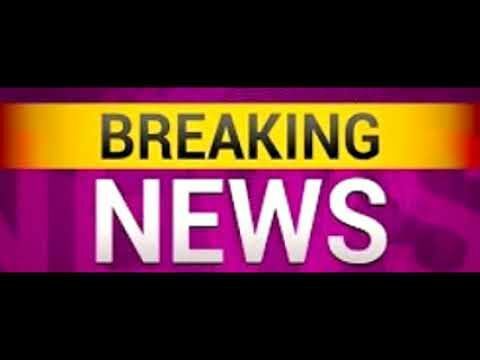 The FBI leaked information about Carter Page and his Russian contacts to a news source so that news source would publish it. When published, other news sources immediately picked up that story and ran with it. Then the FBI went to the FISC requesting a FISA warrant, stating in the warrant application that “multiple sources have confirmed that Carter Page actually met with Russians promoting a meeting between Trump and Russian President Putin.” Their “multiple sources” were the news agencies that re-published the original story leaked by the FBI! The original source was not a source, but was the FBI. Today’s media cannot be trusted to tell the truth. That’s sad but true. Let’s hope those 45,000 sealed indictments (yep: the number is up to 45,000 now) begin being unsealed and executed soon. “Aren’t you afraid there are indictments in there of President Trump, his campaign members, his family members, and Republican lawmakers?” You know what: I REALLY DON’T CARE! I want the truth on the street. I want the discontinuance of news releases based on information obtained from “anonymous” sources. I want complete transparency without hiding anything. Mr. or Ms. White House senior staff member anonymous source: either be quiet and trust the decision made by your bosses — the American people — to make Donald Trump the American CEO to operate the business of the country, or resign and sell your story — with supporting and verifiable evidence — to the New York Times. Maybe you already have sold it to them. If I was you I would have. WARNING: This is a descriptive story pretty much avoided by Mainstream Media during the last few years. In this story, we share the horrors of the treatment of women, young girls, and babies pre and post-birth by medical professionals in a Philadelphia clinic that practiced in abortions over a period of years. The descriptions are graphic but are not enhanced in any way. We don’t share this story for any reason other than to illustrate just how commonplace the abortion process has become. This story is important. I cannot understand why it did not make national headlines at all other than that those in the media who knew of it were afraid to report it to Americans, most of who would have shuddered at the many atrocities perpetrated on the most innocent among us. And I think members of the media were afraid that revealing these events to the public may have initiated a new national opinion of the abortion process itself. If you are squeamish you may want to turn this podcast off or not read the rest of this story. That being said, tens of millions of Americans still view abortion as the taking of the life of a baby. 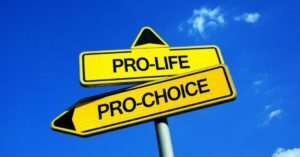 To those, the term “Pro-Choice” literally means “Pro-Abortion.” It is often mentioned by those who are “Pro-Life” that the baby (or “fetus”) does not have any say-so in an abortion procedure. It is within that context we share today’s story which chronicles the operation of an abortion center in Philadelphia that conducted thousands of abortions over a very long time. The circumstances surrounding the operation of that clinic came under the scrutiny of Philadelphia law enforcement agencies that resulted in subsequent prosecutions of clinic operators. In the course of that investigation, horrendous details of operating practices in that clinic were brought to light. The following information comes directly from those involved in the investigation: law enforcement officials and others looking in. There is NO opinion in their recollections of what they saw. Please consider that fact objectively as you read on. We will re-convene in summary after the story. 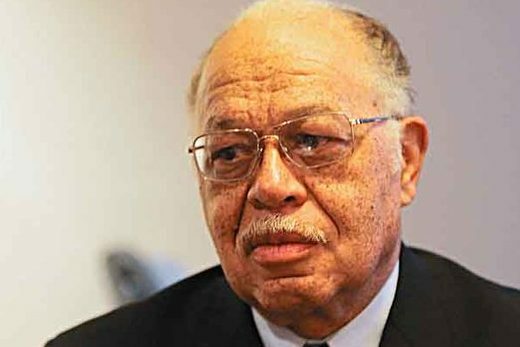 Kermit Barron Gosnell is an American former abortion-provider who was convicted of murdering three infants who were alive during attempted abortion procedures. Gosnell owned and operated the Women’s Medical Society clinic in Philadelphia, Pennsylvania and he was a prolific prescriber of OxyContin. In 2011, Gosnell and various co-defendant employees were charged with eight counts of murder, 24 felony counts of performing illegal abortions beyond the state of Pennsylvania’s 24-week time limit, and 227 misdemeanor counts of violating the 24-hour informed consent law. The murder charges related to an adult patient, Karnamaya Mongar, who died following an abortion procedure and seven newborns said to have been killed by having their spinal cords severed with scissors after being born alive during attempted abortions. In May 2013, Gosnell was convicted of first-degree murder in the deaths of three of the infants and involuntary manslaughter in the death of Karnamaya Mongar. Gosnell was also convicted of 21 felony counts of illegal late-term abortion, and 211 counts of violating the 24-hour informed consent law. After his conviction, Gosnell waived his right to appeal in exchange for an agreement not to seek the death penalty. He was sentenced instead to life in prison without the possibility of parole. In the same year, he also performed fifteen televised second-trimester abortions, using an experimental “Super Coil” method invented by Harvey Karman. The coils were inserted into the uterus, where they caused irritation leading to the expulsion of the fetus. However, complications from the procedure were reported by nine of the women, with three of these reporting severe complications. The super coil experiment by Gosnell has been dubbed the “mother’s day massacre” by some. In 2011, he was reported to be well known in Philadelphia for providing abortions to poor minority and immigrant women. It was also claimed that Gosnell charged $1,600–$3,000 for each late-term abortion. Dr. Gosnell was also associated with clinics in Delaware and Louisiana. Atlantic Women’s Services in Wilmington, Delaware, was Dr. Gosnell’s place of work one day a week. The owner of Atlantic Women’s Services, Leroy Brinkley, also owned Delta Clinic of Baton Rouge, Louisiana, and facilitated the hiring of staff from there for Gosnell’s operation in Philadelphia. “Until April 11, 2013, I wasn’t aware of this story. It has generated sparse coverage in the national media, and while it’s been mentioned in RSS feeds to which I subscribe, I skip past most news items. I still consume a tremendous amount of journalism. Yet had I been asked at a trivia night about the identity of Kermit Gosnell, I would’ve been stumped and helplessly guessed a green Muppet. Then I saw Kirsten Power’s USA Today column. She makes a powerful, persuasive case that the Gosnell trial ought to be getting a lot more attention in the national press than it is getting. For this isn’t solely a story about babies having their heads severed, though it is that. It is also a story about a place where, according to the grand jury, women were sent to give birth in toilets; where a doctor casually spread gonorrhea and chlamydiae to unsuspecting women through the reuse of cheap, disposable instruments; an office where a 15-year-old administered anesthesia; an office where former workers admit to playing games when giving patients powerful narcotics; an office where white women were attended to by a doctor and black women were pawned off on clueless untrained staffers. Any single one of those things would itself make for a blockbuster news story. Is it even conceivable that an optometrist who attended to his white patients in a clean office while an intern took care of the black patients in a filthy room wouldn’t make national headlines? “This case is about a doctor who killed babies and endangered women. What we mean is that he regularly and illegally delivered live, viable, babies in the third trimester of pregnancy — and then murdered these newborns by severing their spinal cords with scissors. The medical practice by which he carried out this business was a filthy fraud in which he overdosed his patients with dangerous drugs, spread venereal disease among them with infected instruments, perforated their wombs and bowels — and, on at least two occasions, caused their deaths. Over the years, many people came to know that something was going on here. But no one put a stop to it. The clinic reeked of animal urine, courtesy of the cats that were allowed to roam (and defecate) freely. Furniture and blankets were stained with blood. Instruments were not properly sterilized. Disposable medical supplies were not disposed of; they were reused, over and over again. Medical equipment — such as the defibrillator, the EKG, the pulse oximeter, the blood pressure cuff — was generally broken; even when it worked, it wasn’t used. The emergency exit was padlocked shut. And scattered throughout, in cabinets, in the basement, in a freezer, in jars and bags and plastic jugs, were fetal remains. It was a baby charnel house. The people who ran this sham medical practice included no doctors other than Gosnell himself, and not even a single nurse. Two of his employees had been to medical school, but neither of them was a licensed physician. They just pretended to be. Everyone called them “Doctor,” even though they, and Gosnell, knew they weren’t. Among the rest of the staff, there was no one with any medical licensing or relevant certification at all. But that didn’t stop them from making diagnoses, performing procedures, administering drugs. Over the years, there were hundreds of ‘snippings.’ Sometimes, if Gosnell was unavailable, the ‘snipping’ was done by one of his fake doctors, or even by one of the administrative staff. But all the employees of the Women’s Medical Society knew. Everyone there acted as if it wasn’t murder at all. Most of these acts cannot be prosecuted, because Gosnell destroyed the files. Among the relatively few cases that could be specifically documented, one was Baby Boy A. His 17-year-old mother was almost 30 weeks pregnant — seven and a half months — when labor was induced. An employee estimated his birth weight as approaching six pounds. He was breathing and moving when Dr. Gosnell severed his spine and put the body in a plastic shoebox for disposal. The doctor joked that this baby was so big he could ‘walk me to the bus stop.’ Another, Baby Boy B, whose body was found at the clinic frozen in a one-gallon spring-water bottle, was at least 28 weeks of gestational age when he was killed. Baby C was moving and breathing for 20 minutes before an assistant came in and cut the spinal cord, just the way she had seen Gosnell do it so many times. And these were not even the worst cases. There has never been a previous atrocity and subsequent discovery of abortion abuse in America like this one. As horrendous and unspeakable as the acts are perpetrated by these people, why hasn’t the American media spent any time and newspaper space in reporting it to America? It can be for one and only one reason: to protect the practice of abortion in the U.S. Mainstream Media as a whole is operated by liberal writers, editors, and publishers who daily allow personal and political prejudices to determine stories, columns, and editorials. Even in very conservative towns and cities across this nation, most newspapers and broadcast outlets are owned and operated by Mainstream Media companies. It is unusual to read or hear a story or editorial anywhere that is not colored by a liberal perspective on all things. That is sad and deplorable. Such practices have tainted American journalism for decades. This case illustrates the frustration of many with the Media: reporting MUST be just that — reporting. How can we make that happen again? We don’t need government intervention. Americans who believe in the Rule of Law, administration equally of implementation of all laws and making offenders accountable for lawbreaking, need to simply express their rights to disagree with these print and broadcast practices and stop partaking in their media offerings. Cancel newspaper and magazine subscriptions. Turn-off radio and television stations that promote these practices. Make sure and let local, regional, and national sponsors of these media sources that you will not support those news outlets or any commercial sponsors they print or air. If contacted by a ratings or polling entity, participate in their polling and be honest when responding to your reading, watching, and listening habits. The American free market works. Supply and demand work. We have seen as local radio and newspapers have shuttered their doors and windows the last decade because the public in droves has walked away from their media products. That is the consumer’s way to vote. I bet those aborted babies would vote to live if they were given a chance.